One of these days I will have a chance to blog when it is not 1AM. Maybe. So where did I leave you all? Ah! Prague! Well, I’ve added a whole new set of pictures to the ol’ Flickr album, so if you’re more of a visual learner, feel free to skip over there. Alright, so — flying backwards in time to Prague. Prague is amazing, it’s so adorable that even the sidewalks are mosaics of white and dark red cobble stones. 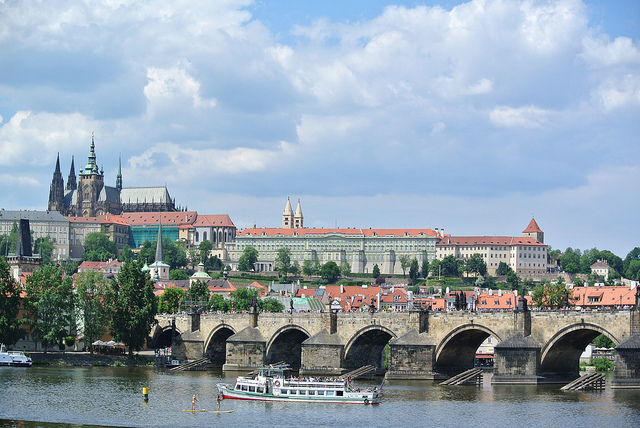 We spent a day walking around the Old Town section, meandering (read: huffing and puffing) up a hill to Prague Castle, and eating wonderful food. One fun fact about Prague — they have a tendency to throw people out of windows if they’re unhappy with them. It’s happened twice. The second time, the victims were lucky, in that they lived; but they were also unlucky, in that they lived because they fell on a large pile of manure. We saw the window these unlucky religious-freedom encroachers were thrown out of — it has a nice view! We headed out of Prague and the Czech Republic (which mom began referring to as “her people”) and drove on down to Vienna the day before yesterday. Kevin promptly got a speeding ticket on arrival. Vienna is not joking around. While Prague looks rustic and gothic, Vienna looks grand and…shiny. There’s lots of gilt and the preferred paint colors are reminiscent of cake frosting. 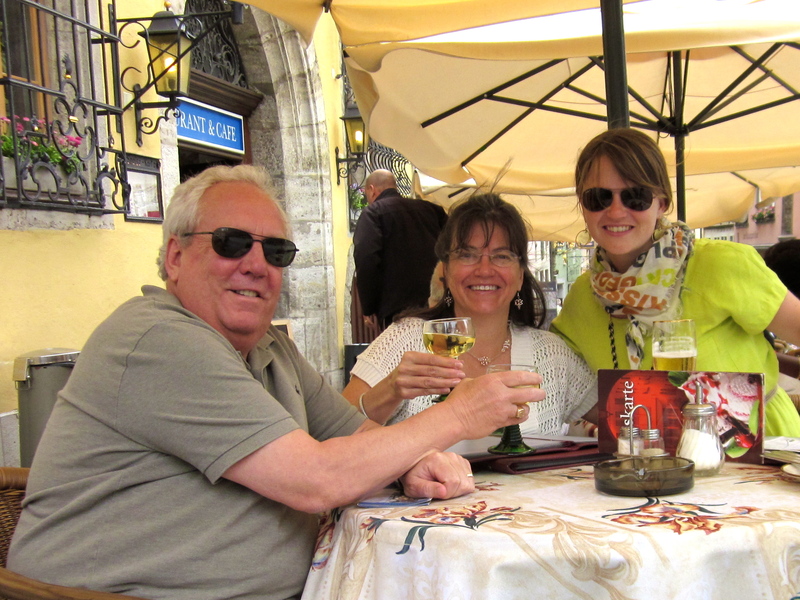 We toured both the Hofburg and the Schonbrunn (Hapsburg palaces) — these people had expensive tastes! We’re talking “we-don’t-eat-off-of-porcelaine-only-silver-and gold” kind of expensive. This is convenient for us, because it makes their stuff really fun to look at. Again, shiny. The Schonbrunn is the summer palace, and despite getting caught in downpour, we ended up seeing a fair bit of the amazing gardens there (thanks to a last minute decision to invade a tour trolley). We also ended up in a great little restaurant where someone informed us that if we didn’t detour up the Danube to Krems to see the hillside vineyards, castles and river views, we were the worst Americans he’d ever met. Ok, actually he was just really enthusiastic and even drew us a map. So, on our way out of Vienna to Rothenburg, we drove up to Krems and then down through the Danube Valley. Wow. I thought I was getting used to seeing castles and/or incredible churches pop up everywhere, but seriously! 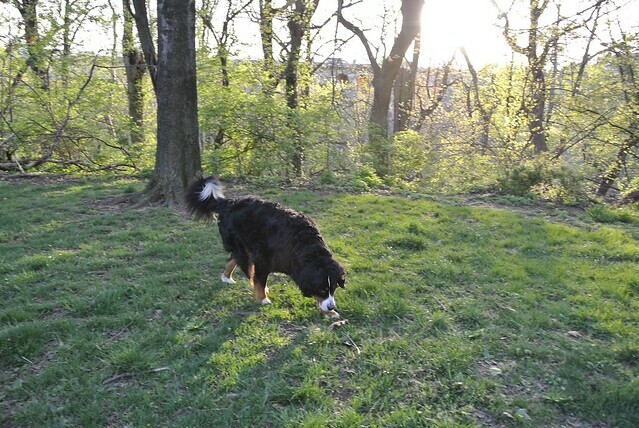 Mom also spotted a Bernese Mountain Dog at a small restaurant along the way. So, you can guess what she was most excited about. We are now in Rothenburg Ob De Tauber and tomorrow I am planning to go for a run on the wall that encloses this very medieval-ish city. If I can wake up, that is ;). More soon (and hopefully earlier in the evening!). In honor of my recent birthday, I want to write about all of the wisdom I have gleaned through my multitudinous years of existence. I have learned life lessons from so many revered and well-respected corridors – famous authors, close family, special teachers, Captain Planet, Full House, Family Matters and of course, Salute Your Shorts. When you’re 27 going on 28 (and not, in fact, 28 going on 29 as your Dad lead you to believe all year), some of the aforementioned pop-cultural sources start to feel slightly…contrived. Urkel is not as relatable as he once was, so you begin to search for other sources of wisdom. But where to turn?? If you’re me, the answer is HGTV’s House Hunters! Know what you want, but be flexible when unexpected awesomeness comes your way – even if that en suite balcony is your dream, isn’t the incredible view worth compromising for? Curb appeal is important, but it’s the inside that really gets you going – sure you’ve got some gorgeous clapboard going on, but if you’re full of dated appliances and 70’s inspired bathrooms, no one’s going to get excited. Everyone has a budget, don’t be ashamed! – sure, that place with the hot tub on the porch is great. But you need to be able to afford sandwiches (and additional sandwiches for your dog). Pick your fellow hunter carefully – if you like classic colonials and they like modern egg-shaped houses, you’re search is going to be rocky. Be realistic about DIY – can you identify a phillips head screw driver without googling it? Are you familiar with spackle? Even if the answer to both of those questions is yes, you probably still aren’t going to be redoing that sponge painted bathroom with the shell sink any time soon. Don’t be a jerk — No one will want to watch you pick your future home, they will instead feel bad for the realtor dealing with you. Be tolerant and open to new cultures — sure, it’s the tradition in Latvia for the toilet to be in the middle of kitchen (it’s not), don’t be a total American about it and demand a toilet free kitchen covered in stainless steel. When presented with three choices, always declare your final choice out loud and in unison with your fellow decision maker — be sure to practice ahead of time so you are sure you agree, but make sure this does not appear staged. As I journey through 28 I hope to find even more sources of life lessons and learning. If you have any lessons to share, please, don’t be shy. We learn together. *I hope you enjoyed the gratuitous Mattie picture at the top. I got a camera, so this will be happening more often. Huzzah! Have you ever found yourself in the middle of a social gathering and, faced with explaining your presence, traced your connection through more than two friends/relationships? Q: Hey, how do you know Billy? Inevitably, you have a moment where you question yourself. Why ARE you there? Fear not. You are not just an awkward addition to the party; you’re the Kevin Bacon of the situation! Who is this Kevin Bacon and what does this have to do with parties? You may ask. Well, there’s a trivia game where you connect anyone in Hollywood to Kevin Bacon in 6 steps or fewer. 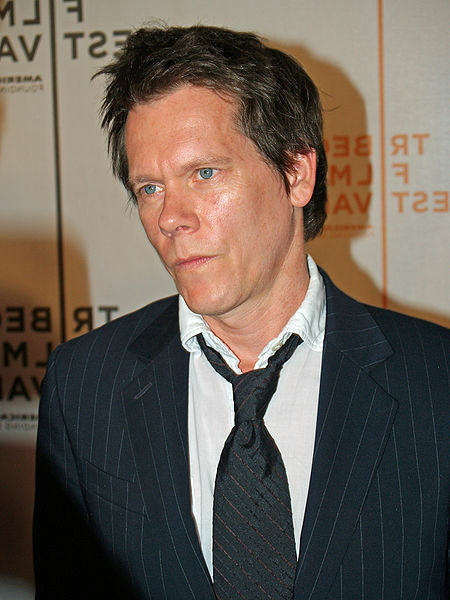 Kevin Bacon is an actor. He was great in the animated feature Balto as the voice of Balto, which my cousin made me watch twice in a row in the theater when we were 11-ish. He is perhaps better known for his work in Footloose, Apollo 13, and Mystic River. Ok, back to the party. Sure, you’re on the fringe of the group, but without you it would just be another night of the same people! It’s also not totally your fault that this happened. Back in the day you would have run into our hypothetical friend George on the street on your way to get a bag of hangover curing Hint of Lime tortilla chips, and after enduring the usual post-college random run-in pleasantries, you would have gone back to your couch to watch House Hunters in private. But not in today’s world, oh no, instead you come home and see that George has friended you on Facebook. Facebook complicates everything. This interconnected online world of ours can put us in some pretty limber real world social situations. I’ve found that when this happens, it’s best to embrace it. Call it out – you’re the Kevin Bacon. You’re there to spice up the convo a little with a new perspective and maybe even accidentally (?) spark a few conflicts. Enjoy it! So get out there, Kevins. And maybe add another layer into your connection at the next party. I’m going to try to get a real reference to a bocce league into my next one. Yesterday I was running after work and I saw someone with a yoga mat over her shoulder wearing a perfectly tailored suit and suddenly I felt like I should have gone to yoga instead of running and I should maybe also be working somewhere that forces me to wear a suit and also where did she get those shoes? This got me to thinking: why do I pressure myself to be these things? Why am I not well pleased with my gross sweaty running self? It’s you, Expectations. You are impossible to meet. You are like a helicopter mom x 1,000,000,000! I’ve had enough, dear Expectations. According to you, I am supposed to be a combination of Heidi Klum, Stephen Hawking, Tom Brandy, Gandhi and Barack Obama. I finally wrote down a list of all your demands, and you are totally irrational, my friend. The most perfect job ever that promotes at the speed of a neutrino, pays us like Donald Trump, and allows for a magical personal life. Double extra bonus points if this job saves the world in some way or has access to a super powerful person. The most amazing fit body ever of all time in the world. Like those blue people from Avatar. Social lives that are a combination of every Budweiser commercial. A sense of fashion that prompts street bloggers to stop, gawk, photograph and ask what we’re wearing. A perfect relationship that results in a perfectly planned, but appropriately quirky and of course intensely personal, cheap, DIY (I’m looking at you, Pinterest)wedding that will be announced in the Times and profiled in Vanity Fair (if that’s still in print). -Amazing thoughts and insights on every topic all the time because we’re reading every book that’s important ever and definitely not watching Wipeout, Top Chef or Storage Wars. You know what, Expectations? I’m coming up with aother list, a list of New Expectations. It will be reasonable and it will be way more fun than you.